Labor Day Weekend may prove to be the most action packed weekend of them all. As we say goodbye to summer, we celebrate with music, events and more. From skateboarding to music, road races to art walks and telescopes to farmer’s markets, this is going to be a super weekend! In Downtown Panama City, Friday Fest on September 2 there is a huge street party with car shows, vendors and live bands filling up four blocks of Harrison Avenue. 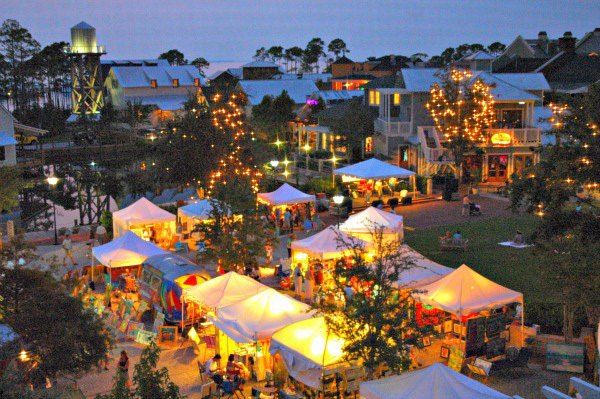 Local shops and restaurants stay open late and the festivities run until 10:00 p.m.
Friday, September 2-4 Baytowne Art Walk in Sandestin Golf and Beach Resort commences from 5:00 p.m. to 10:00 p.m. over this three-day period. Walk under the moonlight as you enjoy live music from Chris Alvarado and Kyle LaMonica on opening night, Friday evening. Each day, browse a variety of local art, and participate in the live painting competition. Exceptional artists from across the southeast will gather for this festival, featuring the best of the best in the world of art. Admission is free and open to the public. First Friday Art Walk at Shops of Ruskin in Seaside takes place on Friday, September 2 from 4:00 pm to 7:00 pm. There will be plenty of beautiful works of art, fashion and jewelry. 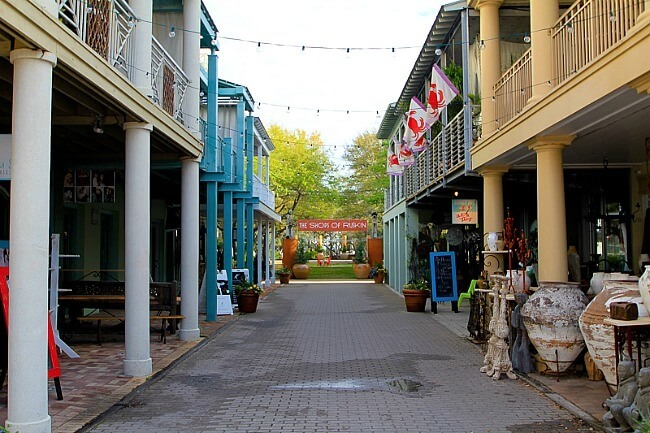 It’s where you can shop with a glass of wine as you stroll through Ruskin Place, tucked away behind Central Square in Seaside. Night Sky View at Topsail Hill Preserve State Park is a rare opportunity to view celestial objects in the night sky. It’s Saturday, September 3 at sunset (approximately 705 pm) when the Northwest Florida Astronomy Association will be on site at 4:30 p.m. with solar telescopes for viewing first, the sun and then, after sunset, the night sky. Park entrance gates close before sunset so be in the park by 6:30 p.m. There will be plenty of telescopes on site but you are welcome to bring your own. Regular park admission applies. No additional fee for this program. Mark Chesnutt, Dylan Scott, and Gal Friday Band. For Saturday: Jake Owen, The Band Perry, Sara Evans, Charles Esten, Darryl Worley, Craig Campbell, and Chris Cavanaugh and on Sunday: Eric Church, Lynyrd Skynyrd, Tyler Farr, Neal McCoy, Colt Ford, and Kirstie Lovelady. 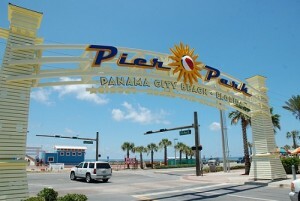 This is the 4th year for the Pepsi sponsored Gulf Coast Jam which brings nearly two dozen country artists and Southern rockers to this glorious three-day event over Labor Day weekend. See the entire lineup and get tickets at gulfcoastjam.com. 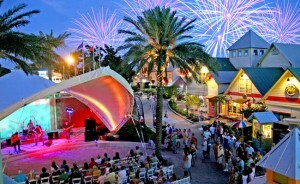 Destin Harbor has a weekend of family activities, free concerts, and fireworks! Saturday enjoy The Sauce Boss. Smoking his slide guitar and singing the blues, The Sauce Boss sings his tamales off while cooking a large bowl of spicy gumbo, and everyone gets a taste of the gumbo at the end of the show! On Sunday, The Bayou Saints bring good vibes and the soul of New Orleans to the stage with a unique sound that combines rock, jazz and country. Fireworks light up the Destin Harbor sky at 9:00 PM followed by a fire spinning performance by Just Add Fire on the main stage! If you are in the mood for an outdoor market featuring dozens of unique vendors offering locally sourced food items, such as produce, eggs, milk, cream, butter, grass-fed beef, chicken, lamb, pork, local honey, pickled vegetables, cheese spreads, pita, hummus, various dips, artisan breads and pastries, crepes, and gourmet jams, then you have a choice. There is the 30A Farmers Market at Rosemary Beach on Sunday, September 4 from 9:00 am to 1:00 pm. Or the Grand Boulevard Farmers Market in Sandestin on Saturday, September 3 from 9:00 a.m. to 1:00 p.m. in the heart of Grand Boulevard in South Walton. Or Seaside Farmers Market Saturday September 3 from 8:00 a.m. to noon. Seaside rocks the amphitheater September 4 at 7:00 p.m. with a concert featuring The Mulligan Brothers. Bring your chairs or blankets for one last hoo-rah! 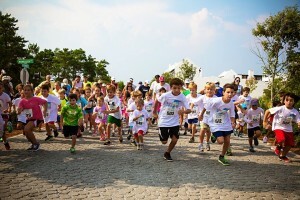 Alys Beach 5K and 1 Mile Fun Run is Sunday, September 4 from 7:00 a.m. to 9:30 a.m. The run winds through town and ends with an oversized obstacle course for kids of all ages. There will be music, food, and beverages available in the Amphitheater at the after party. Register online at Active.com. The price to participate in the certified 5K is $35 and the 1 Mile Fun Run is $15 (kids 12 and younger only, please) online in advance until Sunday, August 28 at midnight. Proceeds from the 2016 race will benefit Alaqua Animal Refuge. Greek Festival is being held August 31 through September 2 at the Emerald Coast Convention Center on Okaloosa Island. Vendors from all over the country display jewelry and other crafts. Enjoy a variety of authentic Greek foods, pastries, wine, live music and Greek dance performances. Enjoy the music at the Village Green of the Mattie Kelly Cultural Arts Village in Destin. At 7:00 p.m. September 2, the opening act will feature vocalists Olivia Slater and Amanda Holmes backed up by the Emerald Gold. Afterwards, Ron Adams presents his high-energy show, “Shadow of the King”, paying tribute to the legendary Elvis. Admission is $10/adult and children under 12 are free. Visit www.MattieKellyArtsFoundation.org for more information. Monday, September 5, Summer Skates will be held at Helen McCall Park from 6:30 p.m. to 8:00 p.m. The Walton Skate Society offers an evening of free skating with the local community. Bring your board out and skate with friends of Walton Sk8s at the site of our future public skate park. All ages and skill levels welcome. There is no admission and all donations go towards the new skate park in Santa Rosa Beach. Bites N’ Brews with Executive Chef Matt Moore in Rosemary Beach September 2 from 5:00 p.m. – 7:00 p.m. is about more than just drinking craft beer. This is about cooking with craft beer! Beer is just as delicious in cooking as is wine; but perhaps not as straightforward. This “class” combines the basics of cooking with beer with a menu that is meant to complement the complexities and flavors of a craft brew. Chef Moore will lead you through a menu catered directly to the beers you will be enjoying with a guided tasting of some of the beers. $45 per Adult. Reservations preferred. So as you can see, there will be plenty to do Labor Day Weekend! Map out you plan and try to pack as much as you can in for one last amazing weekend of summer!